Red State Farmers and Small Businesses Face Financial Bankruptcy While Donald Trump's China Tariffs Exempt Ivanka’s Imports! President Trump’s hypocrisy knows no limits. His campaign rhetoric “buy American and hire American” has repeatedly proven to a case of doing as I say and not as I do. Ivanka Trump’s fashion products are being made overseas in China and yet are exempt from the punishing sweeping tariffs enacted by President Trump in his trade war with China. Trump implemented $34 billion in tariffs on Chinese goods ranging from auto parts to medical devices but spared Ivanka Trump’s fashion empire. 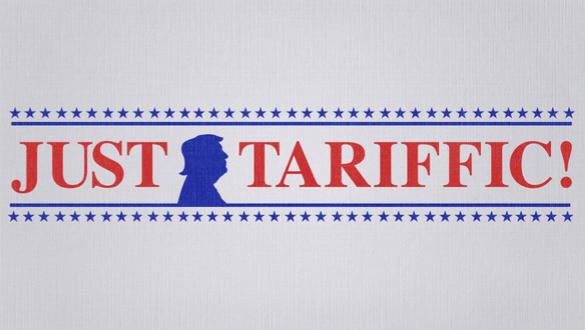 The Office of the United States Trade Representative explained that the goods to be levied with tariffs were chosen based on what would disrupt the U.S. economy the least and have the least impact on consumers. Snopes, the fact-checking website, pointed out that imposing tariffs would have a large impact on American consumers because 35% of all apparel imported in 2016 came from China. And 72% of shoes sold in the U.S. are from China, according to the South China Morning Post, citing the American Apparel and Footwear Association. Many others in the U.S. are already feeling the effects of the tariffs. Soybeans, which represent a huge slice of American agricultural exports, are being targeted as well as cigarettes and dairy products, among other products. U.S. farmers sell 50% of their soybean crop to China! Farmers and business owners in “red states” targeted by the Chinese are starting to realize they may be facing financial ruin. Most are hopeful and remain supportive of President Trump’s decision to launch the trade war. Still, one can’t help but wonder how long his supporters who will be financially ruined, if the world trade war drags on, are going to remain supportive of President Trump if they realize the extent of his hypocrisy.